I am just going to say it: I don’t buy it – Groupon’s decision to postpone their IPO has little to do with market conditions and more to do with recent missteps and investor doubts on the sustainability of their business.What do I mean? Everyone has their own opinions, and here is mine – Groupon rushed an IPO as fast as they could knowing their current model was unsustainable, and is in need of an influx of cash before the bricks started falling off the building. It seems the beginning of the end is already upon them. We can speculate how the story will end but in reality I don’t know any more than you do. This might be a good time to back up a bit and get a grasp of how an early stage company can sidestep this mess all together. The purpose of a startup is to find a repeatable and sustainable business model. Repeatable. Sustainable. Business. Model. Scalable. Period. It is easy to get jealous of stratospheric growth companies such as Groupon. I mean who wouldn’t want to be a major shareholder of such a hot web startup. Yet let’s get something straight: Groupon’s daily deals model is not sustainable. It’s repeatable, yes. But sustainable? No. When you are paying off past customer debt with today’s customer revenue and never seeing black ink, the model is broken. When the majority of your “customers” (read businesses) aren’t coming back in troves to frequently repeat their experience, the model is broken. I doubted the validity of the mass discount daily deals concept from the beginning. Over the last few years I have kept a keen eye on the emergence of this entire “deals” market, and have been pleasantly proven correct. Like a miser with my palms together and a snarky smile, I have watched as everyone jumped in the fray only to realize they are chasing after the pot of gold at the end of a seemingly never-ending rainbow. 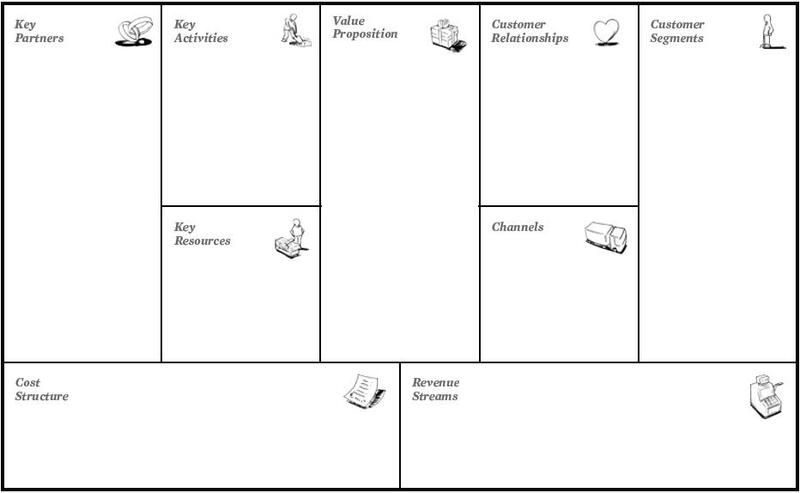 I wonder if any of these deal companies ever sat down to draw out their model, expand their business model canvas, if you will, and determine who is involved, where value is created and how it can be sustained? So how do you figure out a sustainable model to orient your business around? As the CEO of Order SM, it is my job to figure out how to strategically grow and sustain our business. Here’s how we approaching it. Below are the various sections of the canvas, with associated questions we are evaluating as we move forward developing our business model(s). I have laid it out to help you get a better mental perspective as you start to approach your business model canvas. 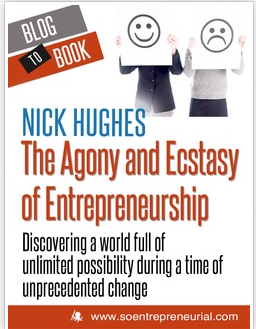 Adapted from the book, I hope this is enough to nudge you in purchasing it – it’s awesome! The customer segments building block defines the different groups of people or organizations an enterprise aims to reach and serve. Without paying (and profitable) customers, a business cannot survive for long. For whom are we creating value? What are our most important customers? The value propositions building block describes the bundle of products and services that create value for a specific customer segment. The value proposition is the reason why customers will turn to one company over the other. It solves a customer problem or satisfies a customer need. What value do we deliver to the customer? Which one of our customers problems are we helping to solve? Which customer needs are we satisfying? The channels building block describes how a company communicates with and reaches its customer segments to deliver a value proposition. Communication, distribution and sales channels comprise a companies interface with customers. Through which channels do our customer segments want to be reached? How are we reaching them now? How are our channels integrated? Which ones work best? Which ones are most cost efficient? The customer relationships building block describes the types of relationships a company establishes with specific customer segments. A company should clarify the type of relationship it wants to establish with each customer segment. What type of relationships does each of our customer segments expect us to establish and maintain with them? Which ones have we established? How costly are they? How are they integrated with the rest of our business model? The revenue streams building block represents the cash a company generates from each customer segment. If customers comprise the heart of the business, revenue streams are it’s arteries. For what value are our customers really willing to pay? For what do they currently pay? How are they currently paying? How would they prefer to pay? How much does each revenue stream contribute to overall revenues? The key resources building block describes the most important assets required to make a business model work. These key resources allow an enterprise to create and offer a value proposition, reach markets, maintain relationships with customer segments and earn revenues. What key resources do our value propositions require? Our distribution channels? Customer relationships? Revenue streams? The key activities building block describes the most important things a company must do to make its business model work. These activities are the most important actions a company must take to operate successfully. What key activities do our value propositions require? Our distribution channels? Customer relationships? Revenue streams? The key partnerships building block describes the network of suppliers and partners that make the business model work. Companies forge partnerships for many reasons, and partnerships are becoming the cornerstone of many business models. Who are our key partners? Who are our key suppliers? Which key resources are we acquiring from partners? Which key activities do partners perform? The cost structure describes all the costs incurred to operate a business model. These are the most important costs incurred while operating under a particular business model. The building blocks above are essential to mapping out your areas of value creation and value extraction. Paramount to any startup is the ability to identify the main components of their business. Once visualized, it becomes much easier to identify where value is created, whom is involved, what direction the equation is flowing, which parties are involved, what partners your business depends on, which partners your business must depend on, etc… You get the point. I am not sure Groupon actually took these critical steps from the onset to determine proper business model generation, and now they are feeling the affects. Here’s to you not making the same mistake.